INTERVIEW | Intelligent Systems on building out the story, trying out new mechanics, and why marriage and kids didn't make it into the remake. Fire Emblem Echoes: Shadows of Valentia was always meant to be a relatively quick project for Intelligent Systems and Nintendo. As originally conceived, it was meant to fill the gap between Fire Emblem Fates and Fire Emblem for the Switch. Fire Emblem Gaiden was chosen because it would allow them to try some new things without being too tough to adapt. But Intelligent Systems quickly realized that they had the opportunity to take the raw material of Gaiden and make it into something more. With that they dramatically expanded the story and refined the mechanics without sacrificing the map design and the difficulty. We were hard on them for some of their choices in our review of Fire Emblem Echoes, but there's no denying that they had a specific vision, and that they followed through on that vision. The original Fire Emblem Gaiden was minimalist to say the least. Read on for our interview with director Toshiyuki Kusakihara and Nintendo's Kenta Nakanishi on the challenges of remaking Fire Emblem Gaiden, what the new characters mean to the story, and how they plan to apply what they've learned to the future of the series. USgamer: Why did you decide to remake Fire Emblem Gaiden? Kenta Nakanishi: To be clear, we never thought of making a remake of Gaiden, but we wanted to make a remake. In 2015, after Fire Emblem Fates, people from [Intelligent Systems] came over and said that they wanted to produce a 3DS game with things they couldn't implement in Fire Emblem Fates. But at that time we were already considering perhaps making games for the Switch, so therefore we didn't have enough time. So it led us to think, "Okay, what can we make in this short amount of time?" And that's what led us to doing the remake of Fire Emblem Gaiden. One of the reasons we decided to remake Gaiden was that it wasn't made outside of Japan, and we wanted to feature that game. And we thought Fire Emblem Gaiden could introduce unique gameplay and also be very fresh and new for new players. So this will be the third game released on the 3DS, and I think we were able to provide something that was an evolving form of the two previous 3DS games. Also, because the new 2DS XL was coming out, it was perfect timing to release the game. USG: What were some of the challenges of translating Fire Emblem Gaiden to the 3DS? Nakanishi: When we were making the remake, we wanted both people who had played the original and people who had played Fire Emblem Fates to enjoy it. As a concept, we wanted to leave the unique features from the original game and the old systems that were implemented and be enjoyed by new players. One of the things that we definitely wanted to emphasize was the story and the scenario. This is because one of the things that was hardest to understand in the original was the story. The story in the game was explained in the manual, and therefore it was very hard for players to understand the story and the characters involved in the game. From Fire Emblem Fates and Awakening, we noticed that people really like the in-depth story and the characters, and players had great attachment to them. We thought in the remake that we could implement that as well. Rinea: One of the new characters in Fire Emblem Echoes: Shadows of Valentia. 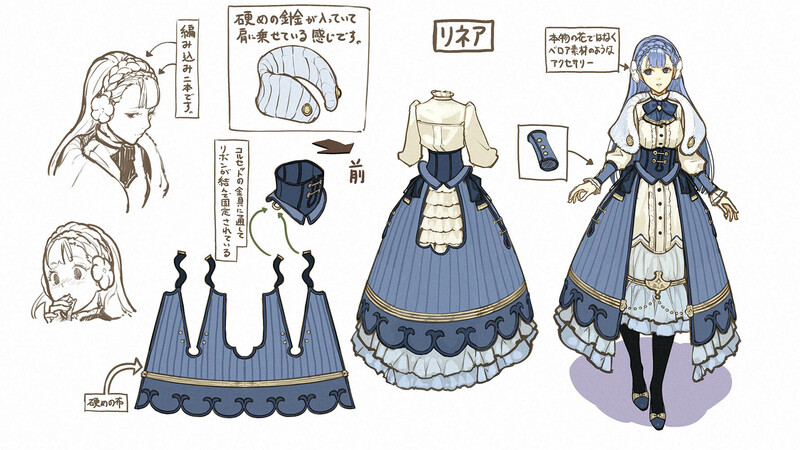 Toshiyuki Kusakihara: We introduced the theme of royalty into the story because we wanted to deepen the world. By having this theme we thought it would be a good way to show how the difference in class affects how you think and how you act. Alm starts out as a commoner, and from that you can see how he challenges himself or how he sees the world. USgamer: So in that context Berkut would be a natural foil for Alm. Kusakihara: That is exactly correct. We made Berkut to be an opposite of Alm. Fire Emblem Echoes has many elements where there are two opposing views. One that comes to mind immediately is Alm and Celica: One of a girl, and one is a boy. One tries to resolve the war through power, the other through empathy and believing in others. As for Berkut, he was a force that was fighting against Alm when he was powering through his side of the story. This is just my personal thought, I was thinking perhaps that if Alm did grow up in the Rigelian Empire, he might turn into someone like Berkut. 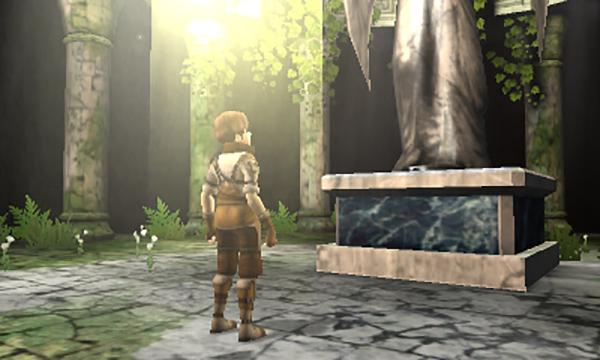 USG: You changed a lot in Fire Emblem Echoes, but one thing that is kind of the same is the maps, which are quite a bit more open and maybe a bit simpler than they were in previous games. Why did you decide to keep the maps the way they were? Nakanishi: As I mentioned before, I really wanted to focus on the unique features that were implemented in Gaiden. One of those things were the maps, and we didn't intend to change those maps. 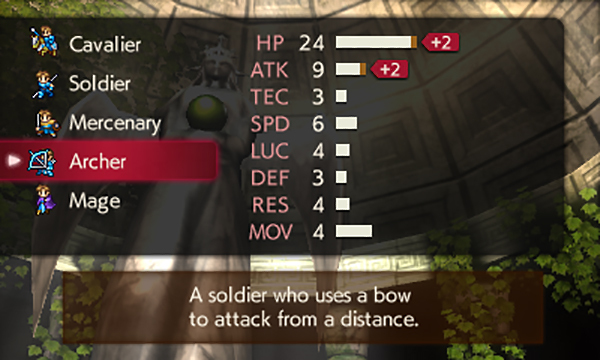 So to leave the unique features of Fire Emblem Gaiden, there were things like the bow user being able to shoot longer ranges and the magicians using HP to use magic. That kind of strategy is what I think makes Fire Emblem Gaiden very interesting. So this is definitely different from recent games like Fire Emblem Fates or Heroes, but we hope people will see this as unique or fresh. Kusakihara: One thing when we were creating the maps... We noticed the maps in this game were very different in scale. Things like the bow as I mentioned were one of the things that changed. But in the original, castles and structures were expressed in one box, while in this game it was perhaps like... nine boxes. So I think, perhaps, people who developed this game wanted to focus more on the characters. Those features were what made Gaiden distinct, and we wanted to keep them in the game as well. Shadows of Valentia puts more emphasis on grinding than most Fire Emblem games. USgamer: Why did you decide to bring back Support conversations, but not marriage and children, which were in Fates and Awakening? Nakanishi: We wanted to emphasize the scenario and focus on that. 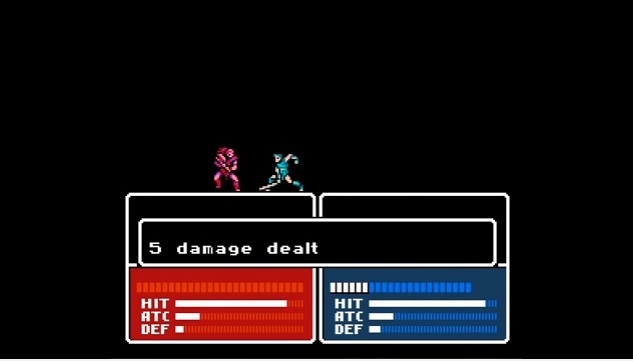 Fire Emblem Gaiden follows Alm and Celica, two very different heroes with different views. So let's say that you could have Alm and Celica marry. That would deter from the original story that was in Gaiden. On a sidenote, that was why we also didn't include avatars in this game--we wanted to focus on Alm and Celica's story. But we thought that the Support system was a good way to establish relationships, so that's why we decided to implement them for some of the characters. USG: I've played a lot of Fire Emblem games, and this was probably the hardest one I've ever played. What are your thoughts on the difficulty? Nakanishi: Fire Emblem Echoes is one of the games that is definitely very heavy in [roleplaying elements]. It has monsters and fantasy, but a big part of it is also raising your characters and your team. So if you go into dungeons and grind for XP, it will be much easier to face enemies later. And that's why I think this is very much an RPG. After the release in Japan, we heard both extremes-some people thought it was very easy, and some people thought it was very hard. So if you are getting a little frustrated, my suggestion would be to go raise your characters for experience. On the other hand, if you're a player that's looking for a challenge, I would advise that you don't grind and keep going. Also, there are some things that you can only get if you finish quickly, so I hope you can enjoy those elements in the game as well. USgamer: You said the name Fire Emblem Echoes was chosen very carefully. Does that mean more remakes are coming in the future? Nakanishi: Nothing that we can share right now, and nothing particular comes to mind. But as you probably already noticed, Echoes means 'reflecting from the past.' So I do think that going on forward, if we were to make more remakes, 'Echoes' is a really good name to use. Intelligent Systems wants to revisit growth rates for the future. USG: In revisiting Fire Emblem Gaiden is there anything that you kind of learned from your experience that could see yourself applying to future games? Kusakihara: Originally this game was for the Famicom, and since it was a small-sized game, we thought it would be easy. But as it turned out, there were a lot of maps, and the developers behind it had a lot of detailed thoughts behind the parameters of the game. So implementing things like that and trying to transition it over to the remake was a bit hard. Nakanishi: We definitely wanted to make a game that people who have played the original game would enjoy, but also people who were new to the franchise. So it was definitely a learning experience evaluating what to leave in and what to take out. This is just based on the feedback in Japan, but it seems like Echoes is definitely resonating with both the original gamers who played the original but also new players as well. We definitely do notice that players who say, 'I wish that this were in here,' so we've taken those comments and we hope to reflect that in the games going forward. USG: Can you give me an example of something you would leave because you thought it worked extremely well in Shadows of Valentia? Nakanishi: One of the things we want to improve on in the future is the growth rate of the characters. We changed the growth rate by two times or three times from the original; but we've heard feedback that it wasn't enough, so that's something we will keep in mind for the future. In Fire Emblem Echoes the characters can become many different characters from villager to mercenary to archer, and we thought this was what we could do at the most. But perhaps there's more room to consider more options in the future. USG: Would you consider bringing back Mila's Turnwheel for a future game? Kusakihara: We introduced Mila's Turnwheel because we wanted to make the simulation part interesting. In a lot of the past titles there have been moments where you would get stuck or make mistakes and have to reset, but Mila's Turnwheel definitely alleviates that frustration, and I think it works well. But as for Mila's Turnwheel specifically, we would have to determine the theme of each game, so I think it would determine the theme of the game we would work on. Nakanishi: We have been talking about how this game is a remake, but it is a 3DS title, and it is a third one, and it has definitely evolved from the previous ones. In North America, it's never been released, so to players it will be a completely different experience and we hope they will enjoy it. The last three games have been played by a lot of people, and we're very grateful for that. You may also know that [a new Fire Emblem] is also going to be released on the Switch, and that it's going to be looking beautiful with great graphics, so we hope you will look forward to that as well. Tagged with Feature,	Fire Emblem,	fire emblem echoes shadows of valentia,	Intelligent Systems,	Nintendo,	Role Playing Games,	Strategy,	tactics,	USgamer. A refreshingly inventive take on Fire Emblem is partly undone by poorly-balanced difficulty.